The Thomson Automation voltage Regulator is used when you want to send regulated power to your servos and you use a higher voltage system battery than your servos can handle. 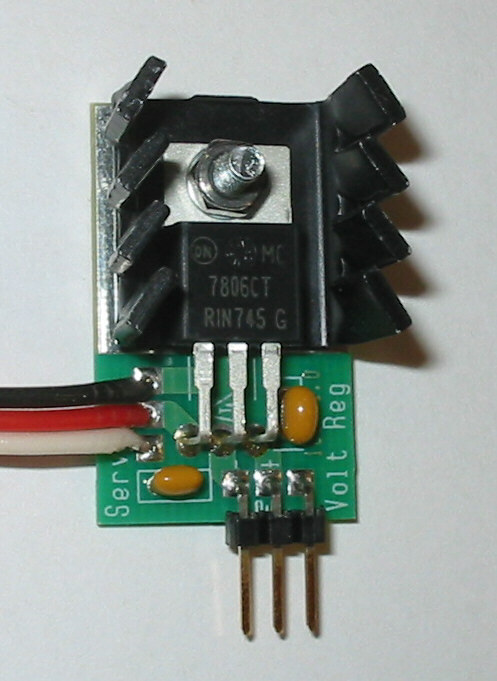 5 volt and 6 volt outputs are available. 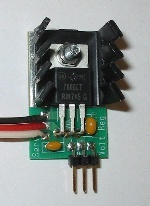 The regulator is internally protected against short circuits and overheating. Maximum output current is 2.2 amps. Control signals are passed directly through.